There are two main types of pumpkin varieties: for carving or for pie. A carving pumpkin will work too, but a pie pumpkin will work better in a recipe. 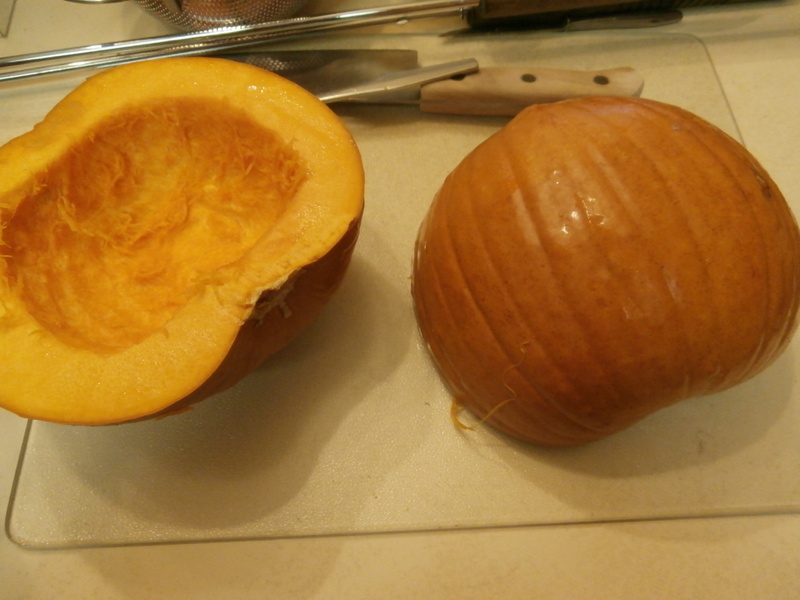 Preparation: Cut the pumpkin in half. Scoop out the seeds and strings. Then cut the pumpkin into smaller pieces, about three inches square. Now you can steam it, bake it, or microwave it. 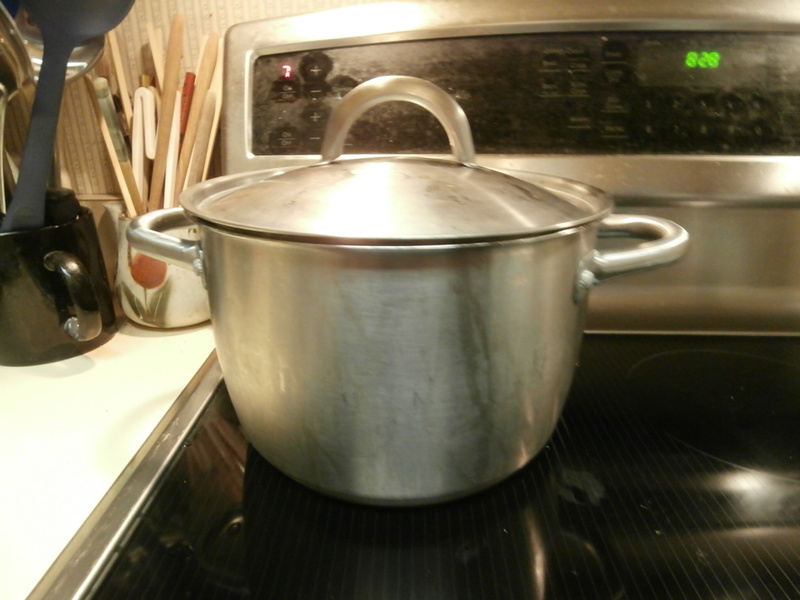 To steam pumpkin: Put the pieces in a steamer in a pot with about a quarter inch of water at the bottom. Put on the lid. Cook for 10 or 20 minutes. The pumpkin is done when you can easily pierce any piece with a fork, and the pumpkin flesh is soft and mushy. Most pumpkins steam in 10 to 20 minutes, but sometimes you get a sturdy pumpkin that needs to steam for 30 or 45 minutes. To bake a pumpkin: Put the pieces in a 375 degree oven for 30 to 60 minutes, poking it with a fork from time to time to see if it is soft. When it is soft, it is done. To microwave a pumpkin: Put the pieces in a large glass bowl. 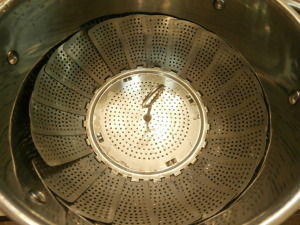 Add a couple of tablespoons of water. Microwave for 10 minutes. Check for doneness with a fork. If it is not soft, microwave again until it is soft and mushy. Next steps: Whichever method you use to cook the pumpkin, let it cool thoroughly. 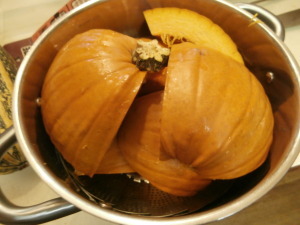 You can speed up the process by running the pieces under cold water, but be careful, because cooked pumpkin can retain a lot of heat. Don’t get burned by it! Steamed pumpkin cools the fastest. Finally, scrape the pumpkin flesh off the skin, and it is ready to use in a recipe. If you have extra pumpkin left over, you can store it in an airtight container in the refrigerator for a few days, or freeze it in two-cup portions. Fresh cooked pumpkin is great in Chocolate Nanaimo Pumpkin Pie and in Chocolate Chip Pumpkin Bread! Yum!!!! !